If you have lost a loved one or have survived a head-on collision with injuries, Baton Rouge personal injury lawyers can help you pursue a proper insurance settlement for the medical expenses, lost income, pain, and suffering and other losses your family faces, including funeral and burial expenses. If a head-on motor vehicle crash has upended your life, you will need help to be made financially whole. Profit-driven insurance companies don’t always do the right thing on their own. The Baton Rouge car accident lawyers at Babcock Trial Lawyers can make the difference in your financial recovery from a catastrophic auto accident. Babcock attorneys – Stephen Babcock and Chase Tettleton – are experienced legal advocates who focus on assisting injured plaintiffs and their families in Baton Rouge and surrounding areas of Louisiana. They have been named among the Top 10 Personal Injury Attorneys in Louisiana as well as among the National Trial Lawyers’ Top 100 Trial Lawyers from 2012-2017. Don’t wait to take action after a car accident. It would be hard to imagine a worse time to have to think logically, coherently, and calmly than right after you’ve been involved in an automobile accident – especially a jarring head-on collision. Car accident victims are usually not prepared in any way. First, there’s the surreal aspect of the whole thing, coming at you all at once on what was otherwise a normal day… and yet feeling like it’s all happening in slow motion because it’s so vividly real that you remember every detail. Then, unfortunately, somebody involved in the accident may also be dealing with serious or catastrophic injuries such as traumatic brain injuries, not to mention the possible damage to your only mode of transportation. It’s a horrible time to have to think straight — and yet it’s one of the most vital moments of your life, as far as processing information and making quick judgments. When we do find ourselves involved in an auto accident, it’s up to us as car accident victims to protect ourselves and our rights in the immediate aftermath. That involves a lot of logical steps and a lot of organization… but the good news is that you can learn these tips right now, before the worst happens. Here’s a detailed list of what you need to do if you’re unfortunate enough to find yourself as one of America’s many car accident victims. Get safe after a Baton Rouge car accident. This probably shouldn’t need to be said, but before you do anything, you need to ensure the physical safety of yourself and anyone in the car with you. Pull your car to the side of the road, if at all possible, as far away out of traffic as you can. Check yourself and the other car accident victims to see if there are any injuries, even minor ones. Call 911 right away to get the police and EMT on the scene. Even if everyone appears to be okay, this is where the legal process starts. Get the info after a Baton Rouge head-on accident. If you don’t have any serious injuries, you can proceed to take down all the information you need for insurance and police report purposes. Do not, under any circumstances, chase down a hit-and-run driver! Get their license plate info, the make, model, and color of the car if possible, and give that information to the police. If the other driver or drivers involved in the accident are still on the scene, don’t start an argument. Just get their license plate number and ask them for their insurance information and contact info. You have every legal right to this. Don’t speculate after a Baton Rouge head-on accident. Again, the immediate fault in the accident is not the issue right now. While you’re waiting for the police to arrive, stay calm and try to figure out exactly what happened. Fix the sequence of events in your mind as you remember them. Under no circumstances should you tell the other drivers that you were at fault, even if you think you are. The facts are not always clear in the confusion following a serious head-on collision. In the same way, accusations won’t help anything. As long as you have the information, you have a place to start. Don’t go anywhere after a head-on collision in Baton Rouge. Never leave the scene of an accident, even a minor one, whether or not you’re at fault. Always stay until the police arrive and fill out a police report on the accident. Likewise, even if you’re not at fault, give your information, insurance and contact info to the other drivers involved. This is a standard process, and it’s developed this way for a number of very good legal reasons. Take photos of the damage after your car accident. Once, car accident victims had to go back home and get a camera to come back and take pictures of evidence at the scene. But of course, that’s no longer necessary with the advent of cell phones. Put yours to good use and take pictures of your car, focusing on any possible damages you can find. Photograph the whole scene, including your injuries and the other cars involved. You can’t have too much evidence when it comes to making your claim. Find witnesses who saw the head-on collision. Odds are your crash happened in the middle of a busy intersection— or at the very least, in the middle of heavy traffic. If there any witnesses on the scene, get their names and contact info to help with your case. Don’t worry about who they think is at fault. Just get their info and ask them if they wouldn’t mind being a witness. It’s some of the most important legal firepower your head on collision attorney can have. File a report of your head-on collision car accident. When the police arrive, have them file a report on the accident. Again, don’t worry about who seems to be at fault. If the police issue you a ticket, don’t complain or argue: sign the ticket and keep it as evidence. Signing a traffic accident ticket is not an admission of guilt or fault. It’s merely to confirm that the ticket was received. Like any other ticket, you can fight it in court. Get medical help. Assuming you and the other car accident victims haven’t suffered some sort of major or life-threatening injury, once the police have filed a report and you have all the contact info, photos and witnesses you can get, now’s the time to leave. Don’t go home, however, before heading to a medical facility where you can get checked out — even if you don’t think there’s anything wrong with you. Serious conditions from accidents don’t always reveal themselves right away. It’s important to get a snapshot of your physical health, done by a professional, immediately after the crash. Get as much paperwork on this medical visit as you can, including the follow-ups if any, and hang on to it. You’ll need it! Listen to your doctor. No matter how you feel personally if your doctor tells you to return for a follow-up visit, start medication, or undergo some sort of therapy, listen to them. Not only is this a good idea in general, but it will help cover all the bases medically when it comes to your insurance claim or possible lawsuit. You want as many records of what happened as possible. These will figure heavily into any settlement you may get. Report the head-on collision to your insurance company. Now that you’ve sought medical treatment and gone home, it’s time to file a report with your insurance company. It’s important that you not give a statement or sign anything before you get legal representation. This is especially true if you have major vehicle damage or physical injury. Determine fault for the head-on collision. In Louisiana, we have what’s called a pure comparative fault law. Were either of you speeding? Were you alert or distracted? Was either party having trouble maintaining control of the car, or using its equipment in general? Who was careful and who was not? You should also know what monetary compensation you can ask for in a traffic accident lawsuit, including property damage or loss of property, loss of a vehicle’s value, medical bills, lost wages, and pain and suffering. Gather the paperwork. Gather your paperwork together, including photographs of the scene and your injuries, any medical expenses you might have, prescriptions, car repair bills, and work-related official documents. In short, any way in which your life was affected by this car crash should be recorded and printed out as a hard copy. No matter what the other guy’s insurance company or law firm may offer you, don’t settle until you get legal representation of your own. No matter which of the car accident victims may be at fault — and it may be more than one — it’s always in your best interest to let the law take care of the situation. Happily, most settlements happen before anyone actually sets foot in a courtroom, but even so, the process will most likely allow you to get a bigger settlement then you would just by dealing with an insurance company. Insurance companies love to tell you that lawyers’ fees will eat up that extra money, but that’s simply not true in the vast majority of cases. Studies show that settlements gotten through a law firm are typically much larger than anything offered by an insurance company. Now is the time to call a reputable lawyer who handles motor vehicle accidents. While much of the preparation you have to do for your claim occurs at the accident scene and just afterward, this step is actually the most important — and should be completed as quickly as possible. It’s not hard to find a good auto accident and injury lawyer. Babcock Trial Lawyers will review your case for free and let you know where you stand. You don’t have to pay a dime up front! If you’ve been in a head-on collision in Baton Rouge or surrounding areas of Louisiana, get in touch with a car accident and personal injury attorney now. No one else — not the other driver, the other insurance company, the other car accident victims, or even the police — are interested in looking out for your best interests. Get a lawyer today and get some serious protection, contact our law offices. If a loved one of yours was killed or badly injured in a head-on collision, you may not know exactly what happened. You yourself may have been injured badly enough in a head-on that you don’t recall the accident. 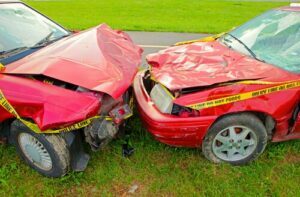 What makes a head-on collision such a terrible accident is that, as the vehicles strike each other in the front, the full weight of both vehicles multiplied by their speeds is funneled into the impact of the crash. These can be horrific crashes, particularly if there is a significant difference in vehicle size, such as in a truck accident. Broken bones (particularly facial fractures). Other than broken bones, any of these injuries can be fatal or leave a driver or passenger in a coma, paralyzed or otherwise severely disabled. The supposed explanation of a head-on collision is that a vehicle attempted to pass another in the left-hand lane and was hit by an oncoming vehicle. However, national studies have found that improper passing is not the usual way a head-on collision happens. Far more often, a driver headed straight down a highway drifts from their lane into oncoming traffic or loses control in a curve and crosses the centerline. Head-ons are also frequently caused by a driver mistakenly turning into traffic coming from the other direction. This can occur on one-way roads (including highway entrance/exit ramps), divided highways or as a driver enters or exits a parking lot. A head-on collision caused by someone driving while drunk, drowsy or distracted is likely to be catastrophic. Impaired or distracted drivers more typically fail to brake, and slam into the other vehicle at full speed. Sometimes a driver who has slipped off of the right-side edge of the road over-corrects and crosses the centerline into a head-on collision. This is sadly found to be the cause of many head-on collisions involving young, inexperienced drivers. A failure of the car or a car component, such as tires, steering or brakes, can cause the driver to lose control of the vehicle and career into oncoming traffic. For example, a tire blowout at high speed can cause a car to jump and slide out of control. Dangerous road conditions may be caused by inclement weather, such as heavy rain and/or wind, in which case a driver who did not adjust their speed would still be at fault. But if a roadway has not been properly maintained or designed, that failure could be the cause of a crash. In such a case, the responsible local government and/or a contractor might be held accountable. This applies to temporary designs, such as highway construction work zones, as well. At Babcock Trial Lawyers, part of the work we do to develop your personal injury or wrongful death claim is aggressively and thoroughly investigate the cause of the crash. This prepares us to demonstrate fault, which is necessary to compel insurance companies to make payments. Our objective is to obtain the maximum payment available to you. This may require multiple claims targeting multiple parties that have responsibility for the harm you have suffered and/or insurance policies that create an obligation to compensate you for your losses. As part of a thorough review of your case, Babcock Trial Lawyers will determine what compensation you are due. This will be based on a full accounting of your losses and what Louisiana injury / wrongful death law says you may recover. We will also work to identify all insurance coverage applicable to your case and seek compensation from every available source of money to you. You can also seek compensation for property damage, such as to your vehicle, in a separate claim. In some cases, such as if your accident was caused by a drunk driver, you may also seek punitive damages. Punitive damages are additional compensation awarded as a punishment for the defendant’s egregious behavior, and as a statement by the court against such behavior. If you or a loved one has been badly injured in a head-on collision, you may have already heard from an insurance adjustor. The adjustor may be from Louisiana and seem like someone you can be comfortable with. He or she may have offered what looks like an attractive settlement offer. Don’t buy it. We can tell you from our years of handling car accident cases and dealing with insurance companies, any settlement offer made quickly after an accident is incomplete and too little. Particularly in catastrophic injuries, the long-term costs cannot be immediately understood. If you have lost your family’s breadwinner, the insurer has no way to know the full financial impact on your future. You should never accept an insurance settlement for a major injury and associated losses unless it has been reviewed by an experienced personal injury lawyer. If you have a settlement offer, bring it to your initial consultation with Babcock Trial Lawyers to be reviewed free of charge. We will be happy to explain if we believe we can obtain more for you through a legal claim. If we cannot, we will be just as happy for you. In most car accident cases, we are able to negotiate an insurance settlement that is fair and appropriate, and meets our client’s financial needs. A negotiated settlement puts money in the client’s hands faster and ends the case. It also allows the client to avoid having to relive the accident in court. When an appropriate settlement is not possible, we are always prepared to fight aggressively in court. Once in court, the fact that Louisiana is a pure comparative negligence state may become important. Under this doctrine, if the injured person contributed to the accident, the amount of money awarded would be reduced according to the percentage of fault assigned to them. In other words, if the jury decides the plaintiff (the injured) was 40 percent at fault, the final judgment would be only 60 percent of what could have been awarded. When Babcock Trial Lawyers is your legal advocate in court, you can count on a vigorous challenge to any undue blame an insurance company might try to put on you. We have seen how insurance companies can sometimes treat claimants, and we will be prepared. We don’t give in. We’ll stand up for your interests. serious injury or the loss of a loved one in a car wreck will shatter your world and leave you with a staggering financial burden. At Babcock Trial Lawyers, we believe those who have suffered such losses should be able to focus on recovering instead of fighting with an insurance company and creditors. Stephen Babcock and Chase Tettleton, the attorneys of Babcock Trial Lawyers, assist families and individuals from throughout Baton Rouge and all of Louisiana who is suffering the aftershocks of terrible accidents like head-on collisions. 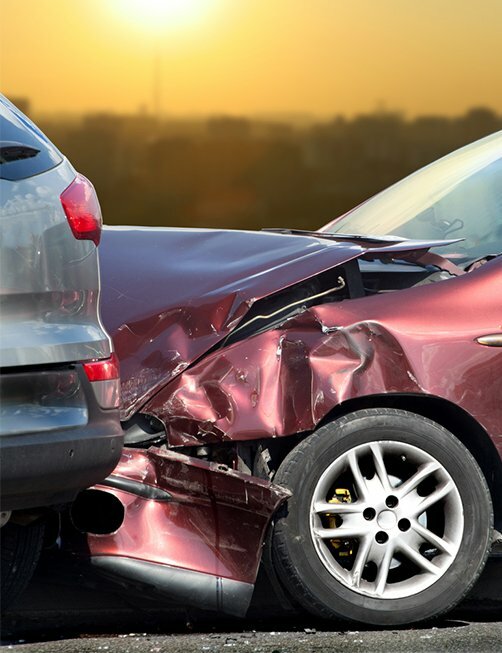 Babcock Trial Lawyers will tirelessly pursue all compensation you are entitled to receive after a head-on collision. You do not have to accept an insurance settlement that is less than what you truly deserve. At the start of your case, we will notify your creditors that a claim is underway, and assure them that they can expect payment. If you need help getting your vehicle repaired or replaced, or to obtain medical care you need, we’ll arrange it. We will not charge you a legal fee unless and until we obtain compensation for you. Our work for you begins with a free, no-obligation consultation and case review. Contact Babcock Trial Lawyers today for aggressive legal advocacy.